The 3-, 6- and 12-month U.S. dollar (Eurodollar) LIBOR rates moved higher today, while the 1-month rate eased. The 1-, 3-, 6- and 12-month U.S. dollar (Eurodollar) LIBOR rates fixed higher again today. The 1-, 3-, 6- and 12-month U.S. dollar (Eurodollar) LIBOR rates waned today. The 1-month U.S. dollar (Eurodollar) LIBOR rate fixed higher today, while the 6- and 12-month rates eased. The 3-month rate was unchanged at 0.6401%. The 1- and 3-month U.S. dollar (Eurodollar) LIBOR rates slipped lower today, while the 6- and 12-month rates moved higher. The 3-, 6- and 12-month U.S. dollar (Eurodollar) LIBOR rates slipped lower today, while the 1-month rate rose. Reuters: Former Barclays Trader Tells Court LIBOR Rate Promise Was "Just Banter"
"...A former Barclays trader accused of conspiring to rig a global interest rate said a promise to name a colleague in a book and to invite him to his bar in return for help in setting LIBOR was 'just banter'. 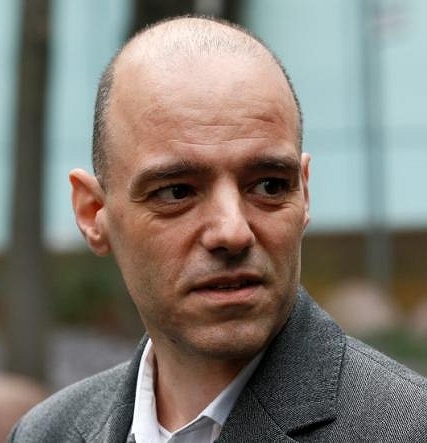 Greek-born Stylianos Contogoulas told Southwark Crown Court on Wednesday that he had been instructed by his boss within days of joining the Barclays dollar desk in 2005 to tell a senior colleague the level he wanted Libor rates set at. 'It was done very openly and in a very normal way and gave the impression this was a regular, normal thing,' Contogoulas said on his first day in the witness box. Contogoulas, 44, is one of five former Barclays bankers charged with conspiracy to defraud by manipulating Libor, the London interbank offered rate, a benchmark for rates on around $450 trillion of financial contracts worldwide. He and former colleagues Jonathan Mathew, Jay Merchant, Alex Pabon and Ryan Reich all deny dishonestly skewing rates - designed to reflect bank borrowing costs - to favor trading positions between June 2005 and September 2007. As the second defendant to testify in the criminal trial, Contogoulas told the jury that he had been given no impression that asking for LIBOR rates was wrong or dishonest, that he had never had appropriate training, had not sought to conceal such requests ‎and knew Barclays monitored communications. Contogoulas said during his testimony on Wednesday that this was all 'just banter, not serious'. 'Did anyone ever comment on your emailed requests to (LIBOR) submitters?' asked his lawyer J‎ohn Ryder. Johnson's lawyer declined to comment on Wednesday. Contogoulas, who passed on Libor requests from more senior New York traders to submitters in London, said he stopped making verbal requests and started emailing them because U.S. colleagues might otherwise question whether he was passing their requests on. Emma Deacon, counsel for the Serious Fraud Office (SFO) prosecuting the case, questioned whether Contogoulas was minimizing his role by presenting himself as a conduit from New York to London, while in fact he traded the Barclays dollar book each morning. 'You're not seeking to minimize it (your role in the Libor requests)?' Deacon said. Contogoulas said the volume of his trades amounted to perhaps five percent of Barclays' whole short-end dollar book and his main role was as a 'babysitter' while the New York desk was closed. Contogoulas's evidence follows that of Mathew, a former Libor submitter, who has told the court he had been taught by Johnson to adjust rates to suit traders and only realized this was wrong when interviewed by Barclays' lawyers in September 2009. Mathew said he initially lied when U.S. authorities, who kickstarted a global Libor investigation in 2008, quizzed him in 2010 because he was afraid of his boss Johnson and of losing his job. He only told the truth when U.S. prosecutors offered him a non-prosecution agreement in 2011, he said. The jury was told last week that Johnson, who had been charged alongside the other five defendants, pleaded guilty in 2014. The third Libor trial brought by the SFO in London is scheduled to last 12 weeks..."
The 1-, 3- and 12-month U.S. dollar (Eurodollar) LIBOR rates eased today, while the 6-month rate rose.